Tottenham Hotspur Keen On Signing Out Of Favour Barcelona Midfielder: Right Move For Them? 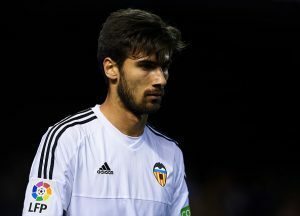 Tottenham Hotspur are being linked with the out of favour Barcelona midfielder Andre Gomes. 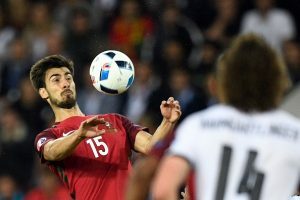 Gomes is also being linked with the Hammers but Pochettino seems keen on bringing the Portuguese midfielder to London. Gomes started his career with the Portuguese giants Benfica and later went on loan to Valencia before securing a permanent deal with the La Liga outfit. He impressed with Valencia and made his big move to Barcelona. He was signed for€35m. His time at Barcelona hasn’t been impressive as he has struggled for starts. He has managed to make 30 appearances for Barcelona this season and most of them have been from the bench as Valverde has used the experienced Andres Iniesta usually. Gomes is a central midfielder who can play on the left as well as the right side of the midfield. With signings like Dembele and Coutinho, he has struggled to get regular playing time. Gomes was highly rated when he was at Valencia but he has seen his stocks go down with his time at Barcelona. Tottenham will have a huge summer transfer window, not in terms of buying players but in terms of holding their key men. Players like Alli, Harry Kane, Dembele and Eriksen have impressed everyone and many of the European giants can be on the lookout for them. Spurs will be dealt a huge blow if they lose out on any of their key men. The London club has had a decent season according to their standards. They are expected to finish in the top 4 and this will ensure another season of Champions League football. They are in the semifinals of the FA cup and that could be a big stepping stone for this golden generation of Spurs player if they go on to win the trophy. Read More: Tottenham Hotspur Plotting A Move For Manchester United Star: Why They Should Go All In For Him! Spurs have improved leaps and bounds under Pochettino and everyone believes that the Argentine mastermind is building something special at the club. He has been able to bring out a lot of his players and he can probably do that with Andre Gomes as well. 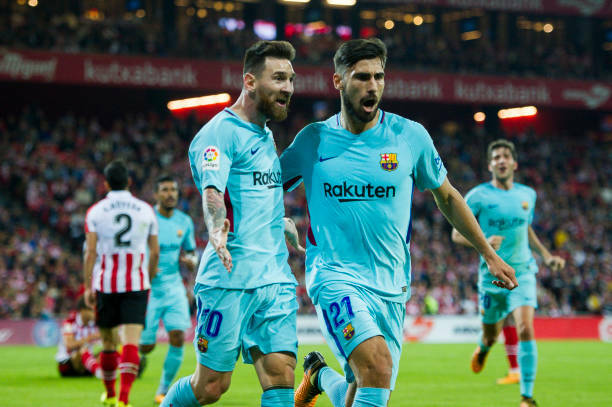 Gomes has struggled in the star-studded lineup at Barcelona and can revive his career if he decides to make a switch at Tottenham. Gomes is composed on the ball and has good technical ability to find the right passes in crunch situations. He might not be a goalscoring midfielder but he can certainly improve and bring a lot more creativeness to this current Spurs lineup especially if they lose out on some of their star players. Manchester City Favourites To Sign This Dutch Defensive Star: Do They Really Need Him? Liverpool Eyeing Up Summer Move For La Liga Defensive Ace: Good Move By Klopp? West Ham United Keen On This Barcelona Midfield Ace: Can Bilic Get This Done? Everton Eager To Sign This Barcelona Midfielder Permanently: A No Brainer For The Toffees? 24 Y/O Portuguese Midfielder Wants To Move To Tottenham Hotspur: Should Pochettino Comply? 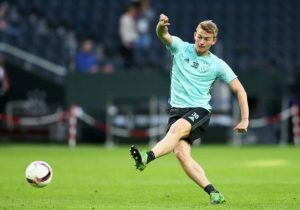 Barcelona Mis-Fit Still On Tottenham Hotspur’s Radar: Is He The Right Man For Spurs? Should Liverpool Accept This Fleet-Footed Midfielder As A Part Of The Deal To Sell Coutinho?